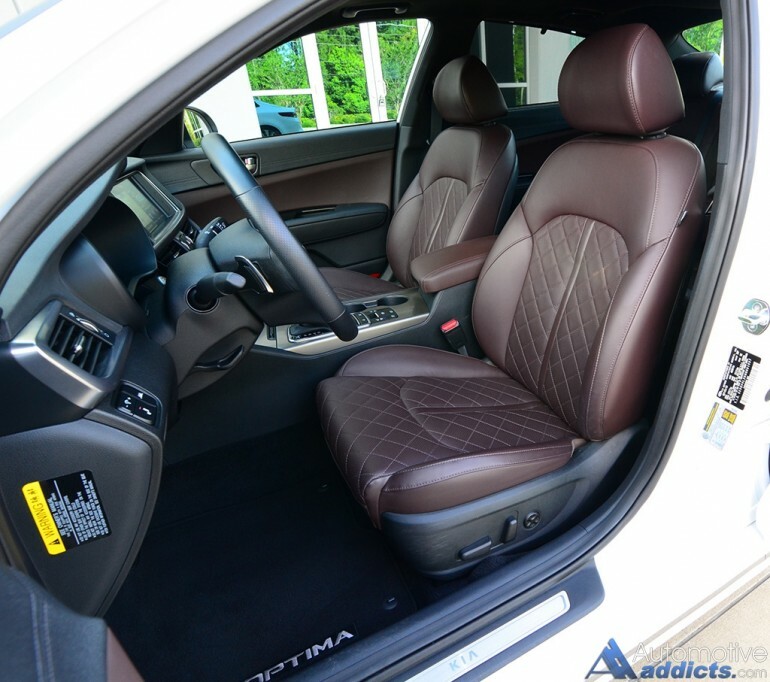 Not too long ago I had the chance to test out Kia’s latest Optima in the SX Turbo trim. This week, as somewhat of a follow-up, I took a quick spin in the top-level SXL (Limited) trim, which adds a few amenities and creature comforts that help the new Optima reach further into a premium spectrum. Powered by the brand’s delightful 2.0-liter turbocharged 4-cylinder engine, the new Kia Optima SLX makes due with 245 horsepower at 6,000 rpm and 260 ft-lbs of torque starting at an exceptionally low 1,350 rpm. The low-end grunt of the engine makes the Optima feel lighter on its feet and gets it moving out of the hole somewhat like a naturally-aspirated V6 midsized sedan would. The benefit of the turbo-4-cylinder is its economic attribute to get an EPA estimated 22 mpg city and 32 mpg highway. Those figures were easily attained during my spin the Optima SXL. 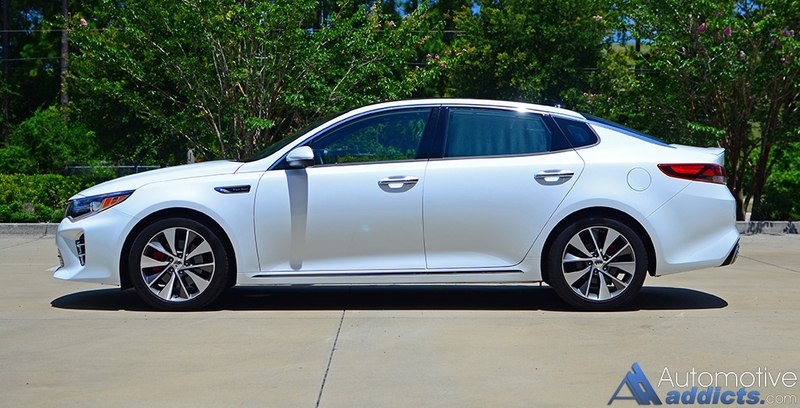 With the modest power output, performance of the Kia Optima SXL is mostly expected. The use a 6-speed automatic transmission appears to somewhat hamper the true potential of transmitting power to the front wheels. Though, the programming of the transmission is aggregable to take advantage of the 4-cylinder’s low rpm torque and high revving horsepower when demanded. Upon deceleration and braking the transmission sometimes abruptly downshifts upsetting your braking where you have to compensate to avoid nosedive. In all, the Kia Optima SXL performs nicely with a slightly spongy feel to its ride quality and somewhat loose damper rebound. 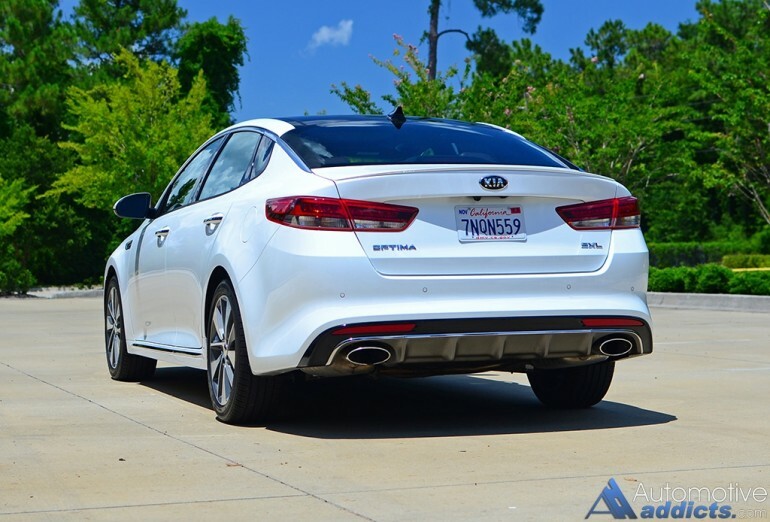 Charting the differences in the Kia Optima SXL over the Optima SX Turbo trim that I did an extensive test drive on a couple months ago, the SXL adds a few features as standard equipment. Among those features, the Optima SXL gets a 360-degree surround-view monitor backup camera system, Harmon Kardon QuantumLogic 10-speaker 630-Watt audio system, advanced smart cruise control (adaptive cruise control), lane departure warning, rear cross-traffic alert, forward collision warning, autonomous emergency braking, rear parking assist, quilted Nappa Leather seating, power-sliding panoramic sunroof with power sunshade, and highbeam assist. Mind you, the Optima SX Turbo can be optioned out with many of the SXL’s standard features except the 360-degree surround view camera system, quilted leather seats, and leatherette instrument panel and door trim. 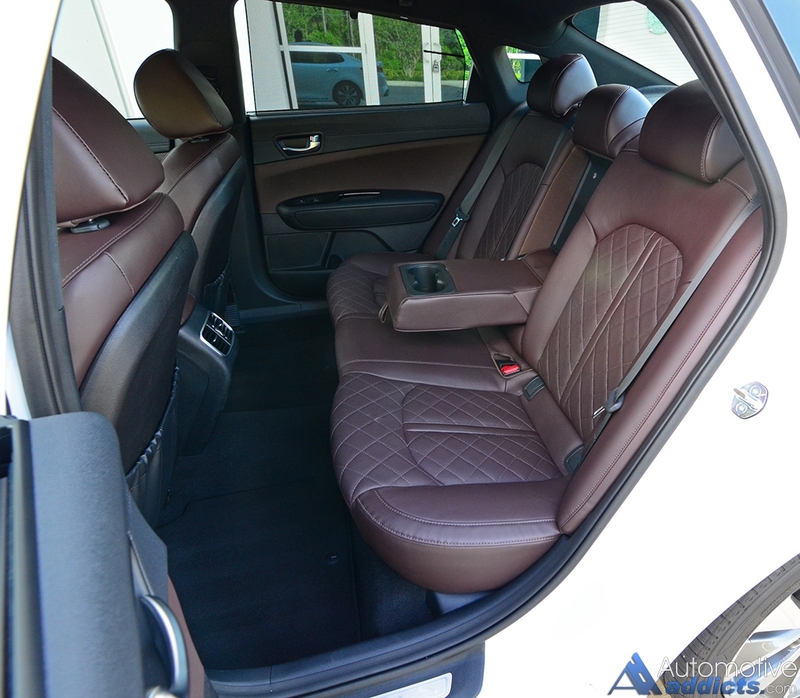 The price differences fall in line with the options list of what the SX Turbo lacks when loaded up versus opting for the SXL trim, which includes all features made available to the 2016 Optima. Kia keeps on pace with the recent redesign of the Optima for 2016 providing a valid competitor to the midsized sedan staples. 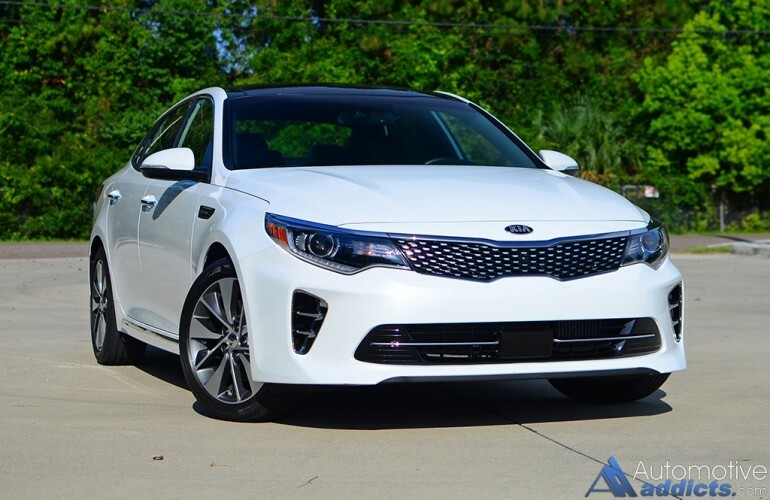 The sleek styling, efficiency and availability of several luxury-class amenities make the Kia Optima SXL a desirable buy with a class-leading warranty to boot. The as-tested price of the 2016 Kia Optima SXL comes in at $36,615, which is $3,400 more than the Optima SX Turbo that I tested a couple of months back. I welcome you to also check out the full-review of the 2016 Optima SX Turbo here.